Sell your music worldwide in 24-48 hours. AmazonMP3 is the #2 most popular music store in the world. If you don't have your music in AmazonMP3, you are missing out on a huge segment of the digital music marketplace. 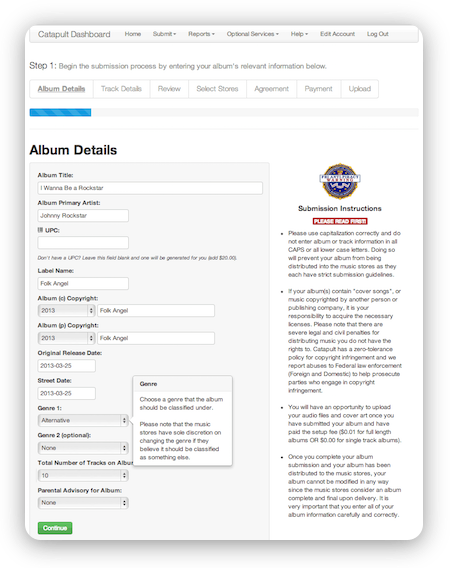 It couldn't be easier to get your music into AmazonMP3 with our simple to use album submission process from within your Dashboard at Catapult. At Catapult, when you submit your music album for distribution to AmazonMP3, you can select your wholesale price tier that you want to be paid when your music sells in their store. You can set a specific street date in the future that you want your music to go live in AmazonMP3 allowing you time to prepare your marketing campaigns. 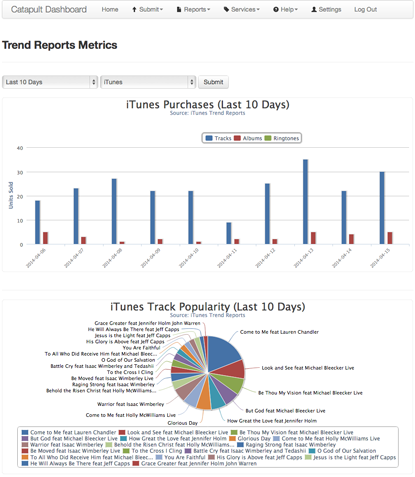 Visualize your sales with graphs and charts. 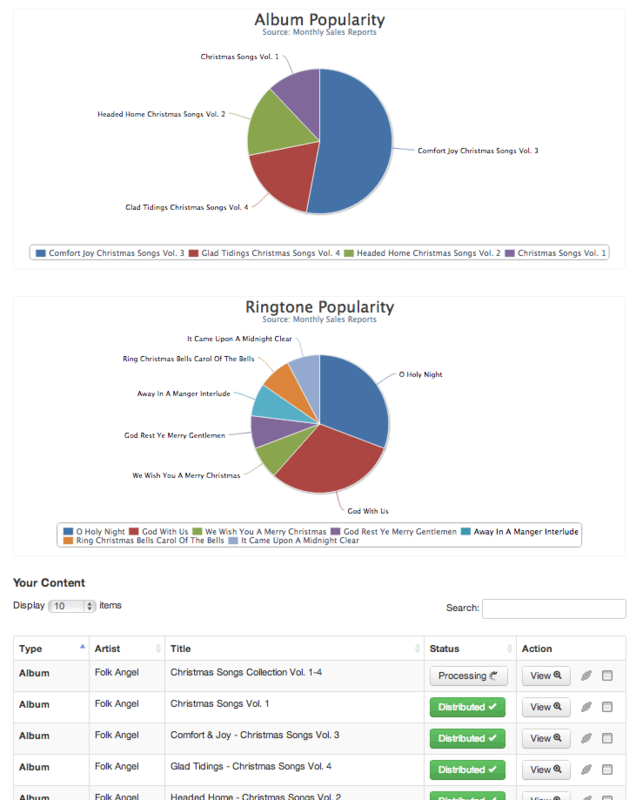 When you log into your Dashboard you can see metrics of your sales that take place in AmazonMP3 with graphs and pie charts as well as view or download your monthly reports. When your music is in the AmazonMP3 store and your music is "matched" by a customer (ie: Streamed or downloaded from a user's mobile device), you receive a per-play royalty. So you can continue making money even after your music has been purchased by your fans. 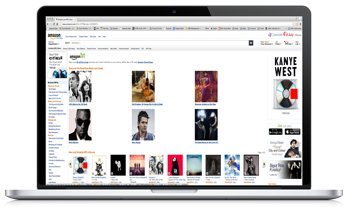 How do I start selling my music on AmazonMP3? This is the easy part! All you need to do is submit your album or single via your Dashboard at Catapult. You'll submit information like the title, artist, street date, etc. Then, you select the stores you want your music sent to and finally upload your audio files and cover art. Our system will then process your music and make sure it's all formatted correctly, and then deliver it to the stores world-wide. It's that simple. 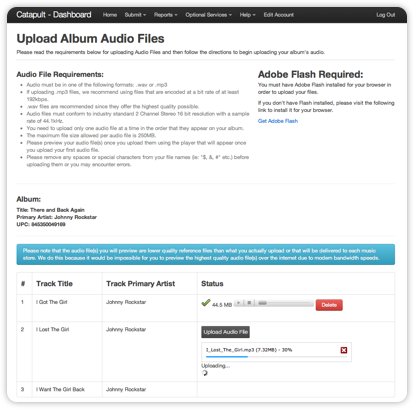 How much does it cost to sell my music in AmazonMP3? 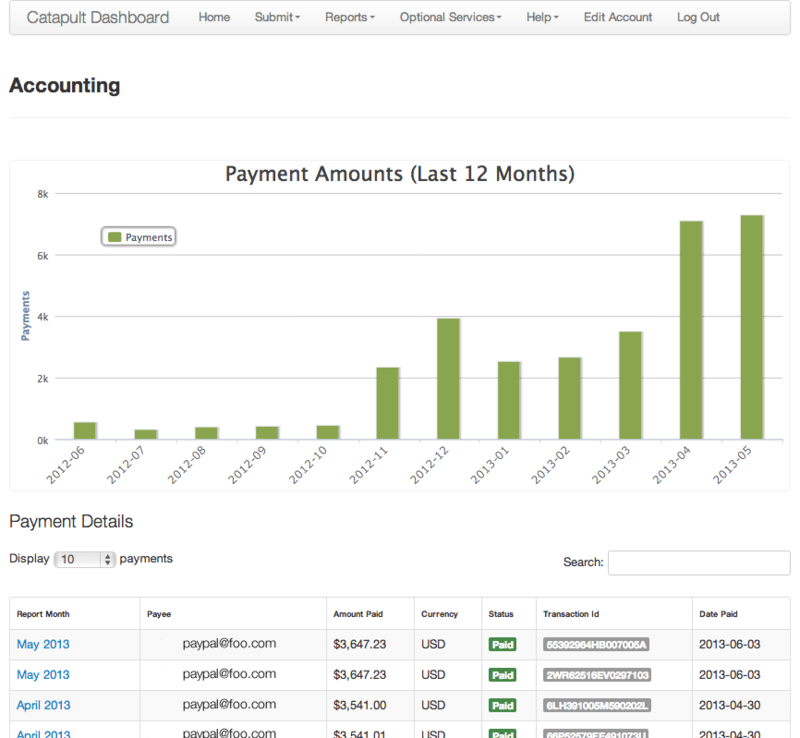 Catapult does not charge any yearly fees or nickel and dime you for each store. Catapult charges only $9 per single or $25 per album which includes distribution to stores like iTunes, Apple Music, AmazonMP3, Google Play, Rhapsody, eMusic, Spotify, Tidal, Rdio, Deezer, iHeartradio and many more.